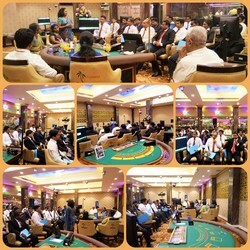 Casino Marina invited FIU-SL to conduct an awareness programme on “Best Practices for AML/CFT Compliance” on April 09, 2019 at their premises. 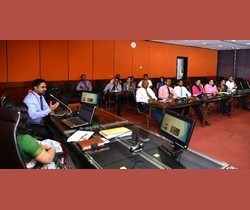 This programme was aimed at educating their employees on legal obligations of AML/CFT. The Senior Management representing each operation of the casino were present at this programme and discussed the AML/CFT matters they are facing during the day to day operations. Mrs. E H Mohotty, Additional Director and other officials of the FIU-SL participated as resource persons at this programme. FIU-SL participated at an awareness session organized by Bally’s Ltd and Bellagio Ltd on “Best Practices for AML/CFT Compliance” which was conduct on April 08, 2019 at the Victoria Hall, Kingsbury Hotel. The aim of the programme was to make aware their employees on how to conduct AML/CFT measures during their day to day operations. Seventy (70) staff members representing key departments such as Front Office, Gaming, Cashier, HR & Admin and Accounts were present and discussed the AML/CFT matters they are facing during the day to day operations. 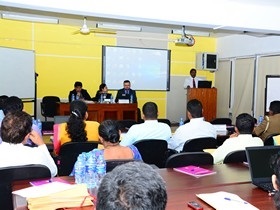 Mr. D M Rupasinghe, Director and other officials of the FIU-SL participated as resource persons at this programme. 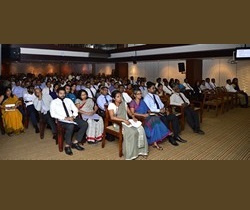 Continuing on the theme of “AML/CFT Compliance Obligations”, the FIU conducted an awareness programme for the members of the Sri Lanka Gem and Jewellery Association on 04 April 2019 at the Central Bank of Sri Lanka. The programme was led by the Director, Financial Intelligence Unit and twenty leading gem and jewellery dealers in the country participated in this programme. The main objective of the programme was to discuss and make aware the progress so far achieved in the gem and jewellery sector in implementing the AML/CFT compliance obligations. 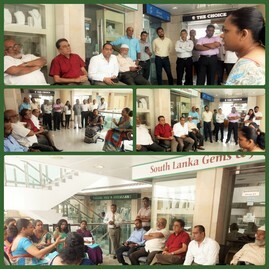 Under the theme of “Robust AML/CFT Regime in Sri Lanka”, the FIU successfully conducted another awareness programme at the ‘Sri Lanka Gem and Jewellery Exchange’ located at the World Trade Centre-Colombo, on March 12, 2019. There are 35 gem dealers located in the Sri Lanka Gem and Jewellery Exchange at World Trade Centre. At this awareness programme, the key AML/CFT obligations for gem dealers were presented to the participants and a discussion was held to make clear the requirements. 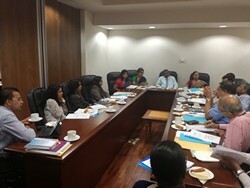 Reaching another milestone in success of introducing Anti-Money Laundering and Countering the Financing of Terrorism (AML/CFT) measures to Designated Non-Finance Businesses and Professions (DNFBPs) in Sri Lanka, the FIU-SL successfully formed a ‘Working Group’ for DNFBPs. 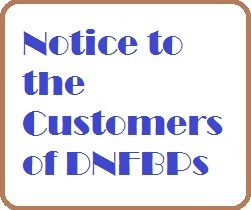 The task force include officials from the government and private sector institutions representing the DNFBP sector and FIU-SL officials. 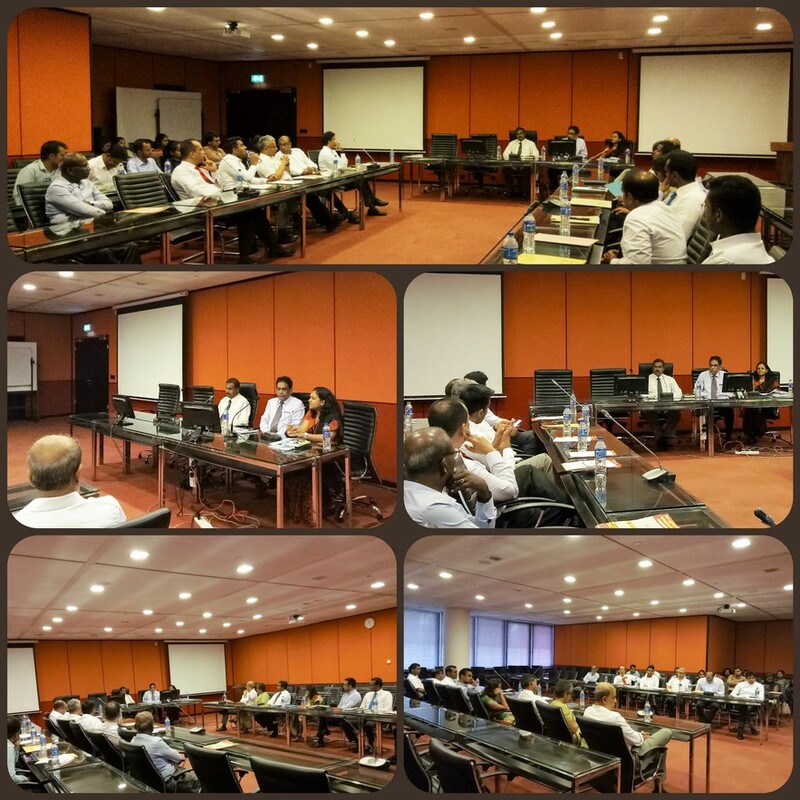 A full day workshop for the LCBs/LSBs on goAML software application (AML/CFT Reporting and Analyzing) specifically designed and developed for FIUs by the United Nations Office on Drugs and Crime (UNODC) was successfully conducted on March 01, 2019 at the Centre for Banking Studies, Rajagiriya. The main purpose of this workshop was to give Reporting Institutions firsthand experience of the application, and its features. Workshop was held with the participation of 95 compliance and IT officials from all the LCBs/LSBs and Mr. Zayeem Khan, expert from UNODC conducted the workshop. 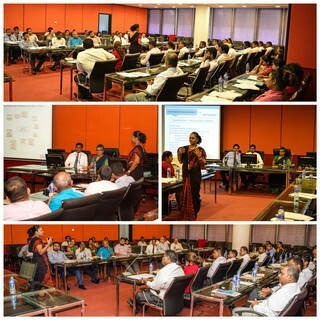 Continuing the series of workshops, which are conducted by the FIU-SL for compliance officers, another successful workshop on “How to comply with AML/CFT legal obligations” was conducted for the Compliance Officers (COs) of Gem and Jewellery dealers on February 12, 2019 at Central Bank of Sri Lanka with the participation of 22 COs. Mrs. E H Mohotty, Additional Director of the FIU-SL headed the programme. 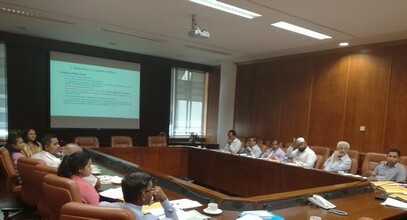 A workshop on “How to Comply with AML/CFT Legal Obligations” for the CEOs and Compliance Officers (COs) of real estate sector was successfully conducted by the FIU-SL on February 07, 2019 at the Central Bank of Sri Lanka as a part of the series of workshops conducted for COs. Mrs. E H Mohotty, Additional Director of the FIU-SL headed this workshop and delivered the opening remarks. 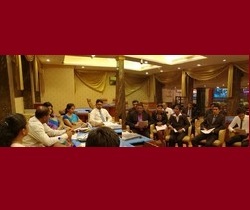 The Financial Action Task Force (FATF), the global policy setter on Anti-Money Laundering and Countering the Financing of Terrorism (AML/CFT), has made the initial determination that Sri Lanka has completed its action plan and warrants an on-site assessment to verify that the implementation of Sri Lanka’s AML/CFT reforms has begun and is being sustained, and that the necessary political commitment remains in place to sustain implementation in the future. The decision was taken at the FATF Plenary held during 20-22 February 2019 in Paris. 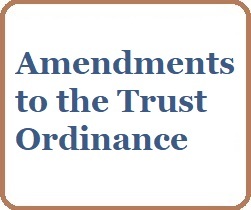 Amendments have been introduced to the law governing trusts in Sri Lanka, the Trusts Ordinance, No. 9 of 1917, to mitigate the misuse of trusts in money laundering by increasing transparency of information relating to trusts created in Sri Lanka. In terms of the Trusts (Amendment) Act, No. 6 of 2018 upon creation of an express trusts under Section 6 of the Trusts Ordinance in relation to any immovable or movable property, the trustee of such trusts is required to obtain and maintain information as specified in the Regulation. The FIU Sri Lanka successfully completed a 3 day workshop on implementations of Targeted Financial Sanctions Against Proliferation Financing (TFS-PF) during 11 -13 December 2018. A team of experts representing Department of Home Affairs of Australia, Australian FIU (AUSTRAC) and Australian Sanctions Secretariat (Department of Foreign Affairs and Trade) conducted the sessions during the workshop. The workshop covered areas such as Introduction to TFS-PF, Sri Lanka’s TFS Framework, Overview of Sri Lanka’s approach to supervision and Conducting Private Sector Outreach. 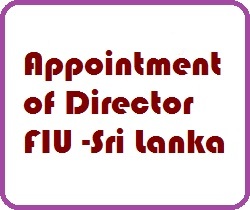 Your attention is drawn to the newspaper notice published by the Financial Intelligence Unit of Sri Lanka on appointing a Compliance Officer under the Anti-Money Laundering and Countering the Financing of Terrorism requirements of the Financial Transactions Reporting Act, No 6 of 2006. In terms of the provisions of the Financial Transactions Reporting Act, No. 6 of 2006 (FTRA), the Financial Intelligence Unit (FIU) of Sri Lanka entered into a Memorandum of Understanding (MOU) with the Department of Motor Traffic (DMT) on November 01, 2018 at the Central Bank of Sri Lanka to receive intelligence information related to investigations and prosecutions of money laundering, terrorist financing and other related crimes. 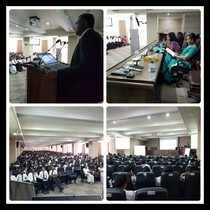 The Director Financial Intelligence Unit addressed over 2000 chartered accountants on the title of “Accountants, Trust & Company Service Providers and Auditors’ Role in Fighting against Money Laundering and Terrorist Financing” at the Technical Session of the 39th National Conference of the Institute of Chartered Accountants which was held at Bandaranayake Memorial International Conference Hall on 10th October 2018. This is one of the biggest summits which attracts executives and business leaders of the country. 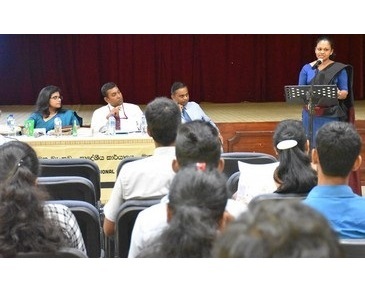 The Sri Lanka Law College arranged a session on “Sri Lanka's Anti-Money Laundering and Countering the Financing of Terrorism Regime” in their series of practical training programmes for the legal apprentices of Sri Lanka Law College, on September 06, 2018. This session was conducted by the resource persons of the Financial Intelligence Unit of Sri Lanka. 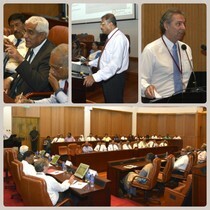 A special programme was conducted on “Key AML/CFT Measures including Identification of Beneficial Ownership” for CEOs/MDs/Senior partners and Compliance Officers of real estate agents, accounting firms, trusts and company service providers, representatives from related government institutions and associations on September 03, 2018 at the John Exter International Conference Hall of the Central Bank of Sri Lanka (CBSL). 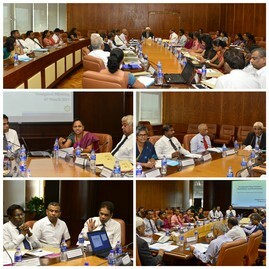 Dr. Indrajit Coomaraswamy, Governor of the CBSL/the Chairman of the AML/CFT National Coordinating Committee chaired this programme. 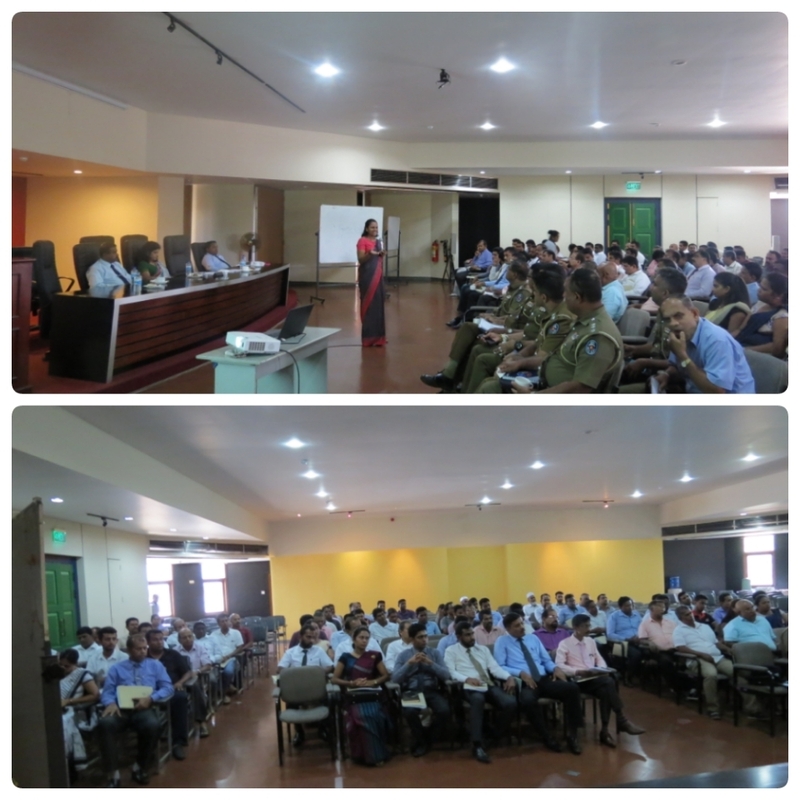 An awareness programme on “Anti Money Laundering and Countering the Financing of Terrorism” was conducted for DNFBPs of North Central Province on August 28, 2018 with the collaboration of the Central Bank’s Regional Office –Anuradhapura, at its Auditorium. 100 participants representing DNFBP sectors presented at this awareness programme and resource persons from the FIU conducted the sessions. In terms of the provisions of the Financial Transactions Reporting Act, No. 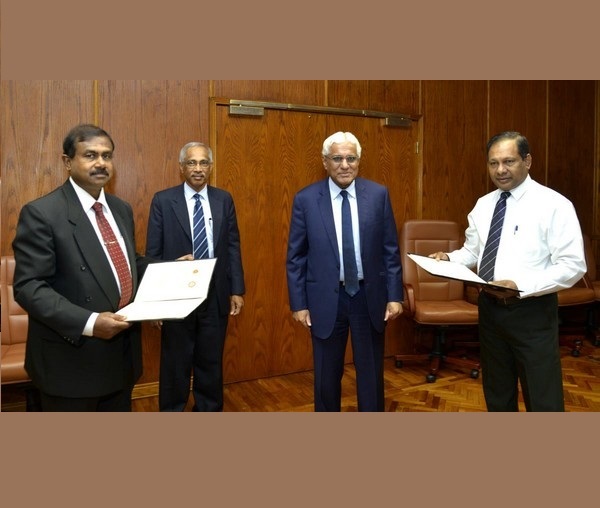 6 of 2006 (FTRA), the Financial Intelligence Unit (FIU) of Sri Lanka entered into a Memorandum of Understanding (MOU) with the Insurance Regulatory Commission of Sri Lanka (IRCSL) on August 01, 2018 at the Central Bank of Sri Lanka to establish a framework for sharing information on supervisory findings based on comprehensive risk-based supervision focused on Anti-Money Laundering (AML) /Countering the Financing of Terrorism (CFT) in the Insurance Sector. 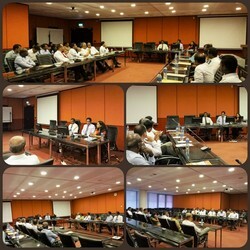 An awareness session on “Targeted Financial Sanctions (TFS) on Terrorist Financing (TF) and Proliferation Financing of Weapons of Mass Destruction (PF-WMD)” for Compliance Officers of Finance Companies, Stock Brokers, MVTS providers, officers of the Securities and Exchange Commission and Department of Supervision of Non-Bank Financial Institutions was conducted by the FIU-SL on August 09, 2018 at the CBSL, under the series of awareness sessions conducted by the FIU on prevention of proliferation financing. The Director of the FIUSL, Mr. D M Rupasinghe headed the discussion. The legal obligations that each Financial Company is required to comply with as per the United Nations Security Council Resolutions 1718 on North Korea and 2231 on Iran were emphasized at this session. 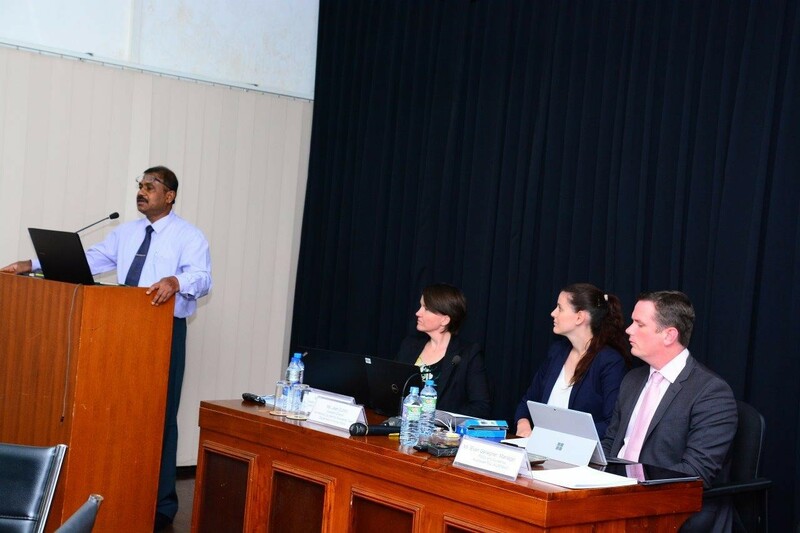 An awareness session on “Targeted Financial Sanctions (TFS) on Terrorist Financing (TF) and Proliferation Financing of Weapons of Mass Destruction (PF-WMD)” for Compliance Officers of Insurance Companies in Sri Lanka and officers of the Insurance Regulatory Commission of Sri Lanka (IRCSL) was conducted by the FIU-SL on August 08, 2018 at the CBSL, under the series of awareness sessions conducted by the FIU on prevention of proliferation financing. 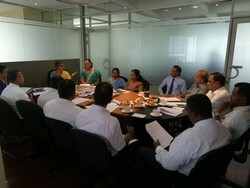 The Deputy Director of the FIUSL, Dr. (Mrs.) W G S S J Keerthiratne headed the discussion. The legal obligations that every Insurance Company is required to comply with as per the United Nations Security Council Resolutions 1718 on North Korea and 2231 on Iran were emphasized at this session. 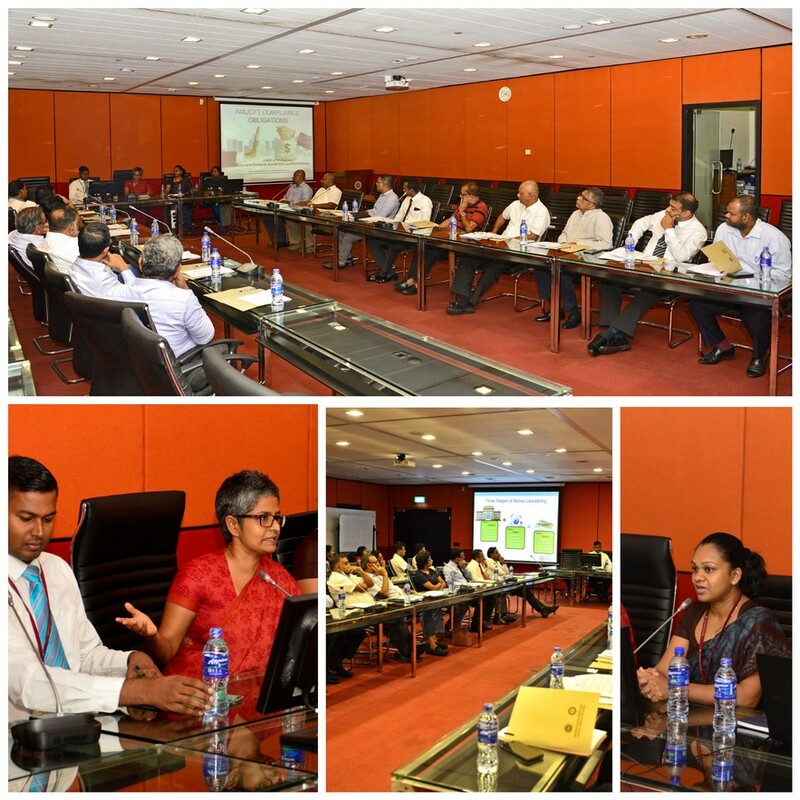 An awareness session on “Targeted Financial Sanctions (TFS) on Terrorist Financing (TF) and Proliferation Financing of Weapons of Mass Destruction (PF-WMD)” for Compliance Officers of Banks in Sri Lanka and officers of the Bank Supervision Department was conducted by the FIU-SL on July 19, 2018 at the CBSL, under the series of awareness sessions conducted by the FIU on prevention of proliferation financing. The Director of the FIUSL, Mr. D M Rupasinghe headed the discussion. The legal obligations that every bank is required to comply with as per the United Nations Security Council Resolutions 1718 on North Korea and 2231 on Iran were emphasized at this session. 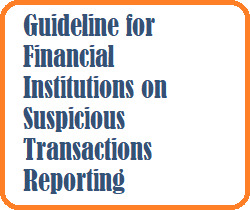 The Financial Intelligence Unit issued Guidelines for Financial Institutions on Suspicious Transactions Reorting, No. 06 of 2018 on 06th August 2018. These Guidelines will come into force with immediate effect and shall be read together with the Financial Transactions Reporting Act, No. 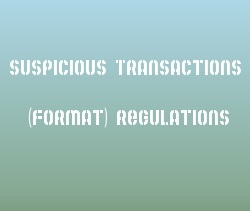 o6 of 2006 and the Suspicious Transactions (Format) Regulations of 2017. 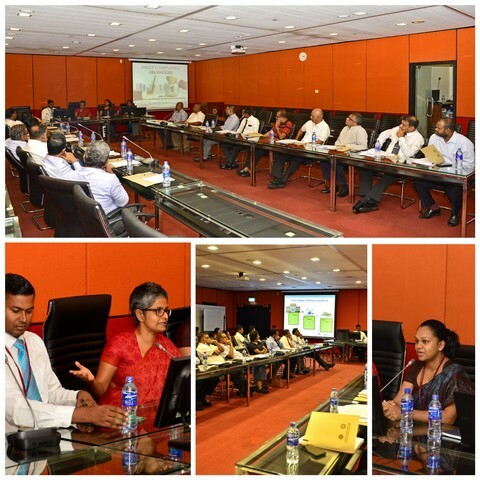 An awareness session on “How to Comply with the Legal Obligations of Anti-Money Laundering & Countering the Financing of Terrorism (AML/CFT)” for senior partners of leading Audit Firms in Sri Lanka was conducted by the FIU-SL on August 02, 2018 at the CBSL, under the series of DNFBP sector awareness sessions conducted by the FIU. The Director of the FIUSL, Mr. D M Rupasinghe headed the discussion. The legal obligations that every auditor is required to comply with as per the Financial Transactions Reporting Act, No. 06 of 2006 (FTRA) and Prevention of Money Laundering Act, No. 05 of 2005 (PMLA) were emphasized at this session. As a part of FIU’s series of awareness programmes for the employees of DNFBPs, a workshop was conducted by the FIUSL for the senior managers and branch managers of Sifani Jewellers including the outlets in leading hotel chains, on July 31, 2018 at the Sifani Jewellers Head office premises. At this workshop, important AML/CFT legal obligations of DNFBPs were emphasized such as conducting customer due diligence, beneficial owners, identifying suspicious transactions and red flags, screening customers against designated lists under UNSCR and other legal requirements. 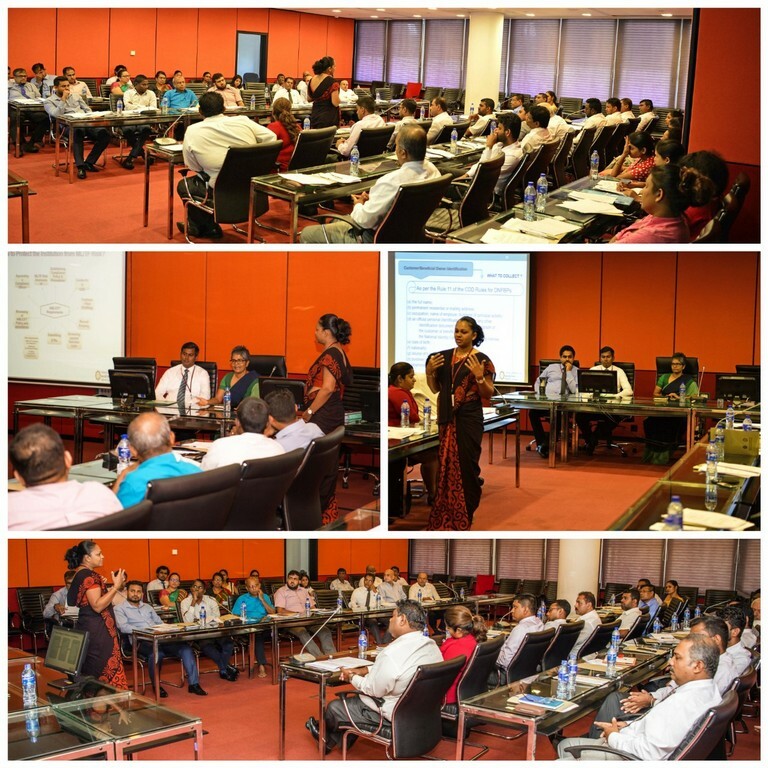 The FIU-SL conducts awareness programmes on AML/CFT Legal Obligations to the employees of Designated Non-Finance Businesses as a part of its series of awareness programmes. 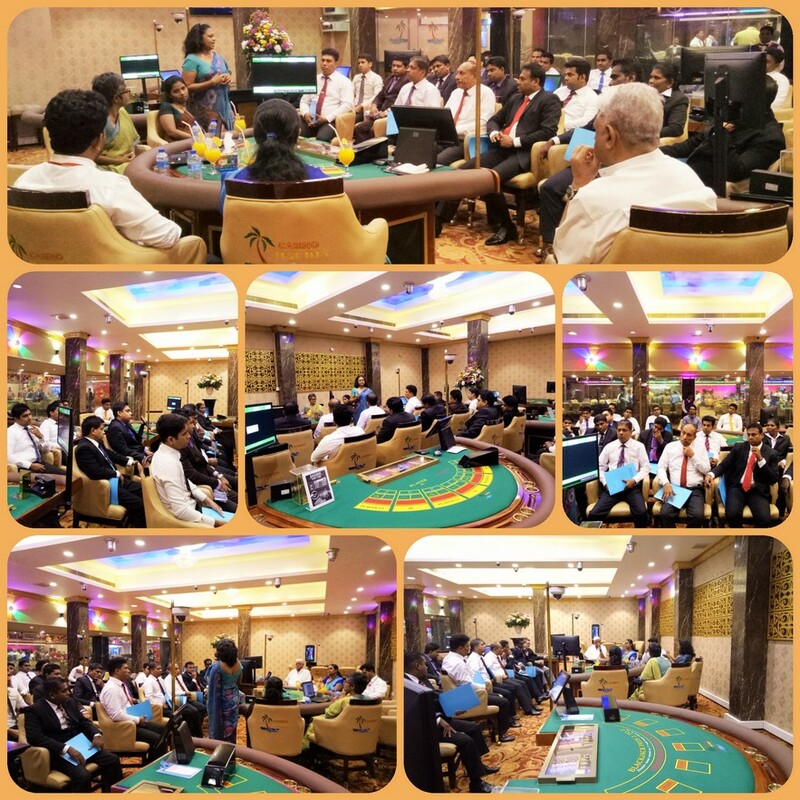 Accordingly, a workshop was conducted by the FIU-SL for the employees of Casino Marina including the heads of all the departments, on July 18, 2018 at the Casino Marina, Colombo. Important AML/CFT legal obligations such as conducting customer due diligence, beneficial owners, identifying suspicious transactions and red flags, screening customers against designated lists under UNSCR and other legal requirements were emphasized at this workshop. 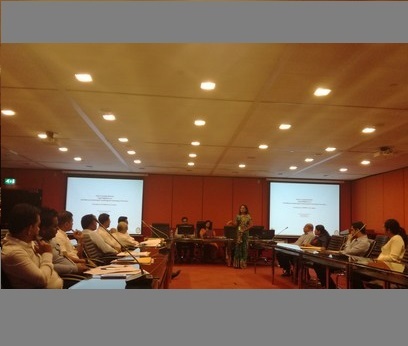 The fourth workshop on the above theme for the Compliance Officers (COs) of gem and jewellery and real estate sectors was successfully held on July 05, 2018 at the Conference Room of the Central Bank of Sri Lanka. 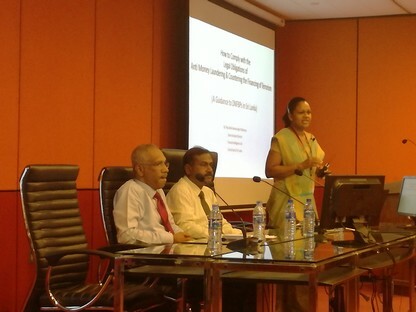 This workshop was headed by Dr. Mrs. Subhani Keerthiratne, Acting Deputy Director of the FIU. Key AML/CFT compliance obligations such as development of an AML/CFT Policy Document, conducting institutional ML/TF risk assessment, conducting customer due diligence and customer risk profiling, training and awareness for employees, reporting of suspicious transactions, record keeping and other AML/CFT requirements were emphasized at this session. A separate session on “Compliance with Regulations on UNSCR” was also conducted during the workshop. In terms of the provisions of the Financial Transactions Reporting Act, No. 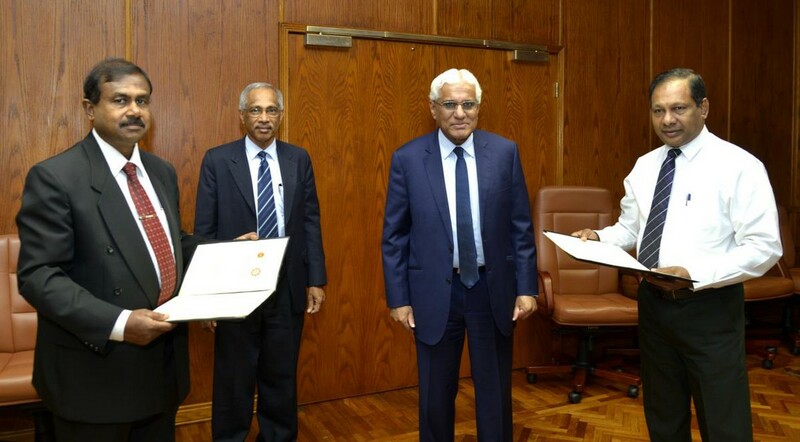 6 of 2006 (FTRA), the Financial Intelligence Unit (FIU) of Sri Lanka entered into a Memorandum of Understanding (MOU) with the Securities and Exchange Commission of Sri Lanka (SEC) on June 19, 2018 at the Central Bank of Sri Lanka to establish a framework for sharing information on supervisory findings based on comprehensive risk-based supervision focused on Anti-Money Laundering (AML) /Countering the Financing of Terrorism (CFT) in the Securities Sector. The FIU-SL conducts a series of workshops for Compliance Officers (COs) of Designated Non-Finance Businesses (DNFBs) on “How to Comply with the Legal Obligations of Anti-Money Laundering & Countering the Financing of Terrorism (AML/CFT)” as a guidance on AML/CFT compliance for the DNFBs. Accordingly, the third workshop of the series was successfully completed with the participation of 29 COs of gem and jewellery sector on June 07, 2018 at the CBSL. 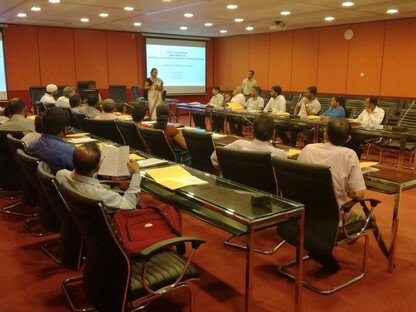 The session was headed by Mrs. E H Mohotty, Acting Additional Director of the FIU-SL. Accordingly, the second workshop of the series was successfully completed with the participation of 23 COs of real estate sector on June 06, 2018 at the CBSL. 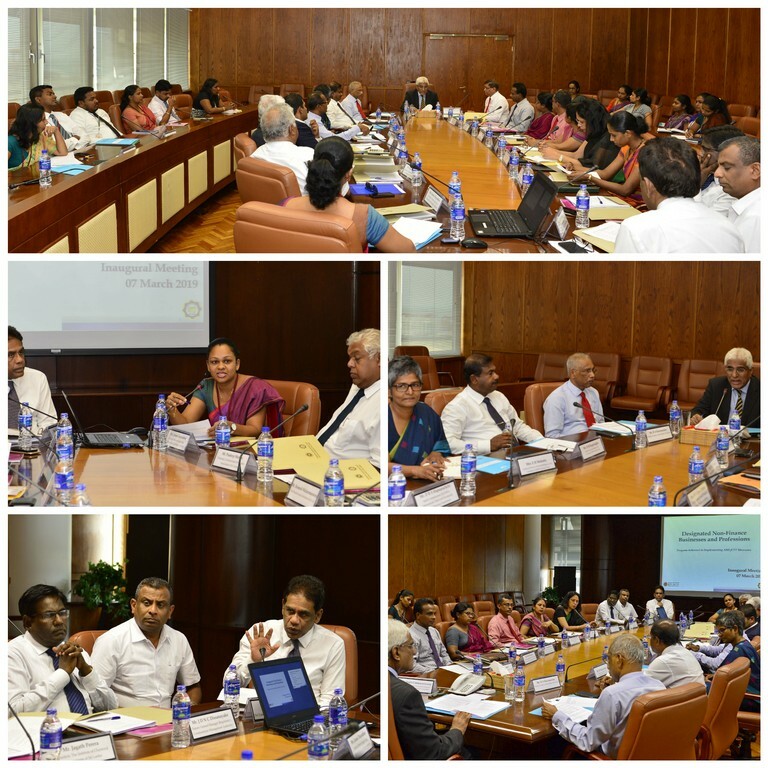 The session was headed by Mr. H A Karunaratne, Assistant Governor of the CBSL and Mr. D M Rupasinghe, Director of the FIU-SL. 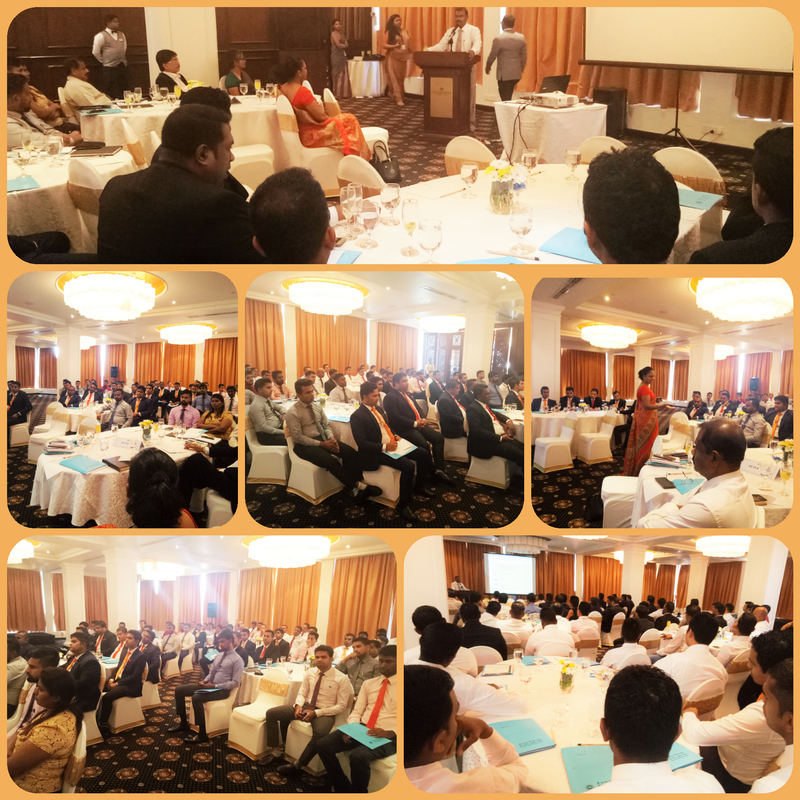 An awareness programme on “Anti-money Laundering and Countering the Financing of Terrorism” organized by the Regional Office Matara, Central Bank of Sri Lanka with the collaboration of the District Office of Chamber of Commerce - Galle for the real estate agents, dealers in gem and Jewellery, lawyers, accountants and investors in the Galle District was successfully held on 16th May 2018 at the auditorium of the District Office of Chamber of Commerce - Galle. 54 participated for the programme. 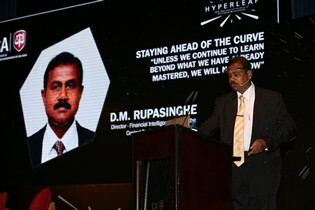 The resource contribution for the programme was made by the Financial Intelligence Unit, Central Bank of Sri Lanka. On April 17, 2018, an awareness programme on “AML/CFT Compliance Responsibilities under the Financial Transactions Reporting Act, No. 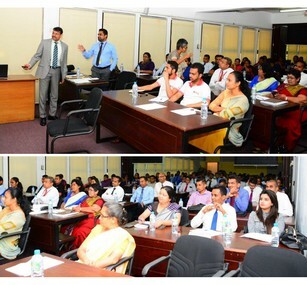 06 of 2006” was held at the Institute of Chartered Accountants of Sri Lanka (ICASL). At this programme, the AML/CFT compliance obligations for Accountants and Trust & Company Service Providers were emphasized. 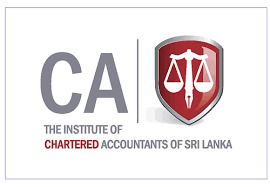 Accordingly, the ICASL with the collaboration of the FIU Sri Lanka informed Chartered Accountants and Trust & Company Service Providers the requirement of appointing a “Compliance Officer” by the attached letters. 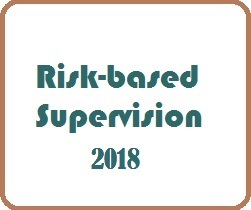 The revised Risk-based Supervision procedures of the FIU are hereby informed to the Licensed Banks and Licensed Finance Companies through the Circular no. 01/18. The said Circular is available from the below link. 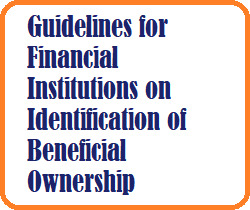 The Financial Intelligence Unit issued Guidelines for Financial Institutions on Identification of Beneficial Ownership, No. 04 of 2018 on 19th April 2018. These Guidelines will come into force with immediate effect and shall be read together with the Financial Transactions Reporting Act, No. o6 of 2006 and the Financial Institutions (Customer Due Diligence) Rules, No. o1 of 2016. 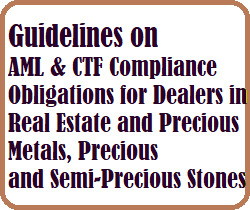 The Financial Intelligence Unit issued Guidelines on AML & CTF Compliance Obligations for Dealers in Real Estate and Precious Metals, Precious and Semi-Precious Stones, No. 03 of 2018 on 18th April 2018. These Guidelines will come into force with immediate effect and shall be read together with the Financial Transactions Reporting Act, No. o6 of 2006 and the Designated Non-Finance Business (Customer Due Diligence) Rules, No. o1 of 2018. This guideline shall be treated as minimum instructions and indications to identify and assess the risk of ML & TF in their businesses and take effective measures to mitigate the identified risk. 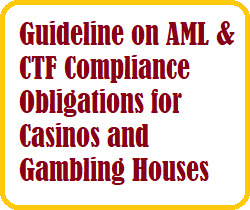 The Financial Intelligence Unit issued Guidelines on AML & CTF Compliance Obligations for Casinos and Gambling Houses, No. 02 of 2018 on 18th April 2018. These Guidelines will come into force with immediate effect and shall be read together with the Financial Transactions Reporting Act, No. o6 of 2006 and the Designated Non-Finance Business (Customer Due Diligence) Rules, No. o1 of 2018. This guideline shall be treated as minimum instructions and indications to identify and assess the risk of ML & TF in their businesses and take effective measures to mitigate the identified risk. 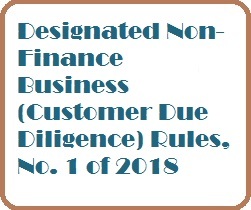 The following Designated Non-Finance Businesses (DNFBs) are required to hereby carry out their obligation of implementing proper policies and procedures to prevent money laundering and terrorist nancing attempts using such businesses and professions as provided for under the “Designated Non-Finance Business (Customer Due Diligence) Rules, No. 1 of 2018” (Rules) and the Extraordinary Gazette Notication No. 2015/56 dated April 21, 2017 on “Suspicious Transactions (Format) Regulations of 2017”, in terms of the Financial Transactions Reporting Act, No. 6 of 2006 (FTRA). 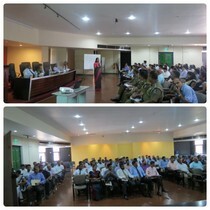 The Financial Intelligence Unit (FIU) of Sri Lanka conducts training sessions for the compliance officers of designated non-finance businesses on the theme of “How To Comply with the Legal Obligations of Anti-Money Laundering & Countering the Financing of Terrorism (AML/CFT)” as a guidance on AML/CFT compliance for the institutions which are designated under the non-finance business category. 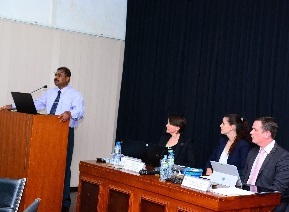 The Financial Intelligence Unit of Sri Lanka with the technical assistance from the World Bank conducted a three-day workshop on National Risk Assessment on Money Laundering & Terrorist Financing with the participation of 120 experts from different stakeholder institutions representing both public and private sector at Center for Banking Studies in Rajagiriya during April 4 – 6, 2018. 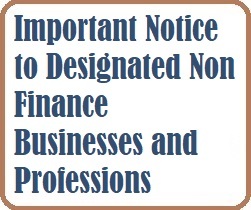 The following Designated Non-Finance Businesses (DNFBs) as defined in the Financial Transactions Reporting Act, No. 6 of 2006 (FTRA) are hereby informed of the obligation of appointing a Compliance Officer under the requirements of Anti-Money Laundering and Countering the Financing of Terrorism (AML/CFT) laws and regulations in Sri Lanka. The FIU-Sri Lanka has instructed the above businesses/professions to obtain the information in order to identify their customers, as per the provisions of the Financial Transactions Reporting Act, No. 06 of 2006. The Financial Intelligence Unit of Sri Lanka issued rules through the Extraordinary Gazette Notification on Designated Non-Financial Business (Customer Due Diligence) Rules No. 1 of 2018 dated January 10, 2018 which should be complied by the following Designated Non-Financial Businesses and Professions in Sri Lanka. 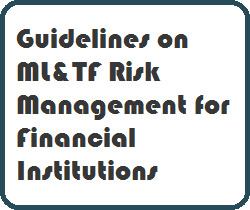 The Financial Intelligence Unit issued Guidelines on Money Laundering & Terrorist Financing (ML & TF) Risk Management for Financial Institutions, No. 01 of 2018 on 11th January 2018. These Guidelines will come into force with immediate effect and shall be read together with the Financial Transactions Reporting Act, No. o6 of 2006 and the Financial Institutions (Customer Due Diligence) Rules, No. o1 of 2016. This guideline shall be treated as minimum instructions and indications to identify and assess the risk of ML & TF in their businesses and take effective measures to mitigate the identified risk. 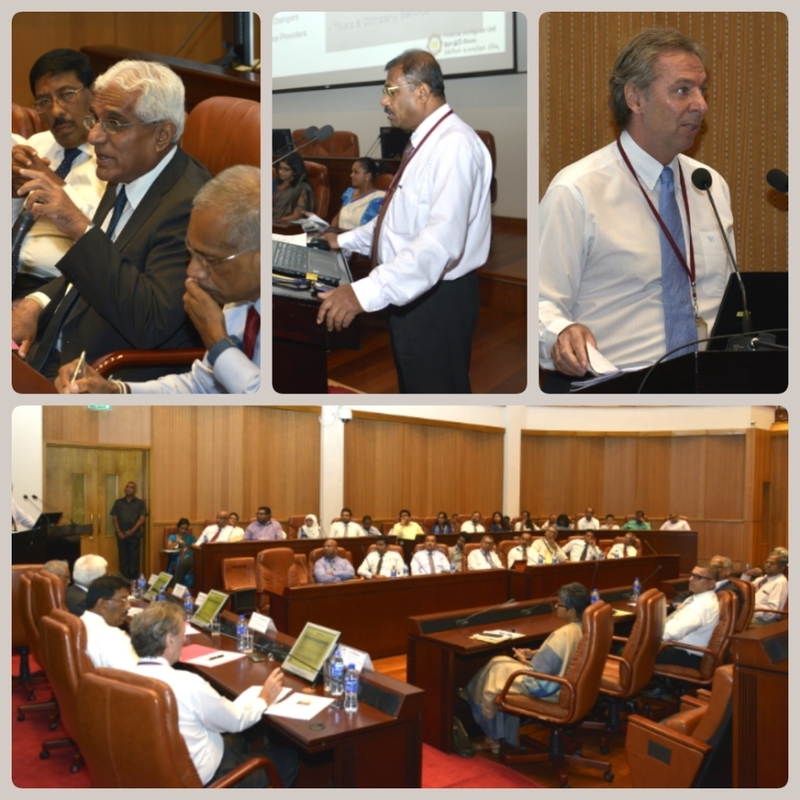 An awareness programme on “Anti-Money Laundering and Countering the Financing of Terrorism (AML/CFT) Framework and Obligations for Dealers in Precious Metals and Precious Stones” was conducted by the Financial Intelligence Unit (FIU), for the dealers in the gem and jewellery sector on 10th January 2018 at the Central Bank of Sri Lanka. In terms of the provisions of the Financial Transactions Reporting Act, No. 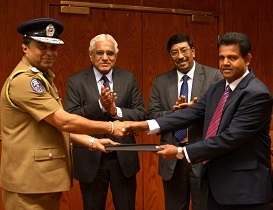 6 of 2006 (FTRA), the Financial Intelligence Unit (FIU) of Sri Lanka entered into a Memorandum of Understanding (MOU) with Sri Lanka Police on December 13, 2017 at the Central Bank of Sri Lanka to share information/intelligence in order to facilitate investigations and prosecutions on money laundering, terrorist financing and other related offences. The Financial Intelligence Unit conducted an awareness programme on the “draft Customer Due Diligence (CDD) Rules for Designated Non-Financial Businesses (DNFBs)” on November 30, 2017. In terms of the provisions of the Financial Transactions Reporting Act, No. 6 of 2006 (FTRA), the Financial Intelligence Unit (FIU) of Sri Lanka entered into a Memorandum of Understanding (MOU) with the Financial Information Unit of the State of Qatar on October 26, 2017 to exchange financial intelligence in order to facilitate investigations and prosecutions on money laundering and terrorist financing. 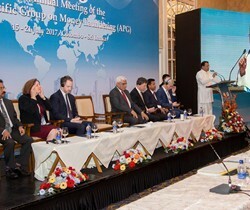 Sri Lanka hosted the 20th Annual Meeting of the Asia/Pacific Group on Money Laundering (APG) in Colombo during July 15-21, 2017 with the participation of 408 delegates from 41 member countries of the APG and 24 observers from several international observer organisations. The event was graced by His Excellency the President, Maithripala Sirisena and Hon. Mangala Samaraweera, Minister of Finance and Mass Media. The Hon. Minister of Finance has issued the Suspicious Transactions (Format) Regulations of 2017 in terms of the Section 29 read with Section 7 of the Financial Transactions Reporting Act. No. 6 of 2006 (FTRA), through the Gazette Extraordinary No. 2015/56 dated April 21, 2017. These regulations shall apply to every Institution within the meaning of Section 33 of the FTRA. The Financial Intelligence Unit adopted Risk-based Supervision subsequent to the issuance of the Risk-based CDD Rules for the Financial Institutions in 2016. 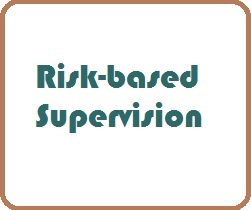 Accordingly, Risk-based Supervision procedures of the FIU were informed to the Licensed Banks and Licensed Finance Companies through the Circular no. 01/17. Further, FIU issued a Guideline on AML/CFT compliance obligations of Money or Value Transfer Service (MVTS) providers through the Circular no. 02/17 in 2017. The said Circulars are available from the below links. The Financial Intelligence Unit (FIU) of Sri Lankawas established in March 2006 as an autonomous body under the Ministry of Finance and Planning. The FIU was reorganized in February 2007 as an independent institution within the Central Bank’s framework and administrative structure. To be the trusted and respected single agency with commitment to excellence in establishing the framework for Anti-Money Laundering (AML) and Countering the Financing of Terrorism (CFT) in Sri Lanka. To administer, effectively, the provisions of the Financial Transactions Reporting Act by facilitating the prevention, detection, investigation and prosecution of the offences related to money laundering and the terrorist financing.